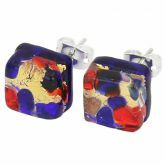 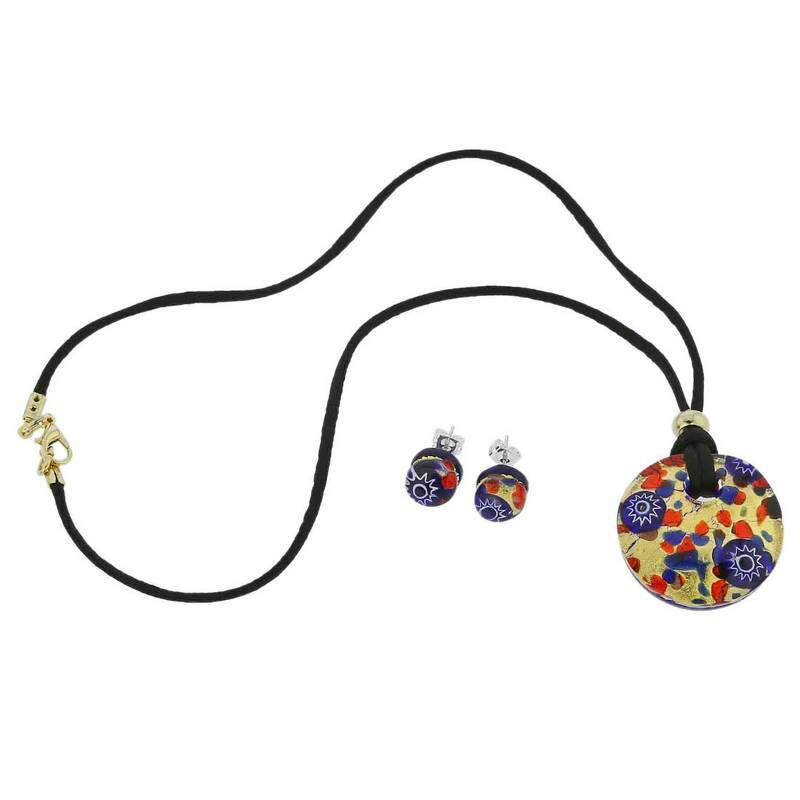 This trendy Murano Glass Pendant and Earrings Set dazzles with gorgeous deep hues and intricate patterns formed by the glass mixture melting over fire, then cooling down. 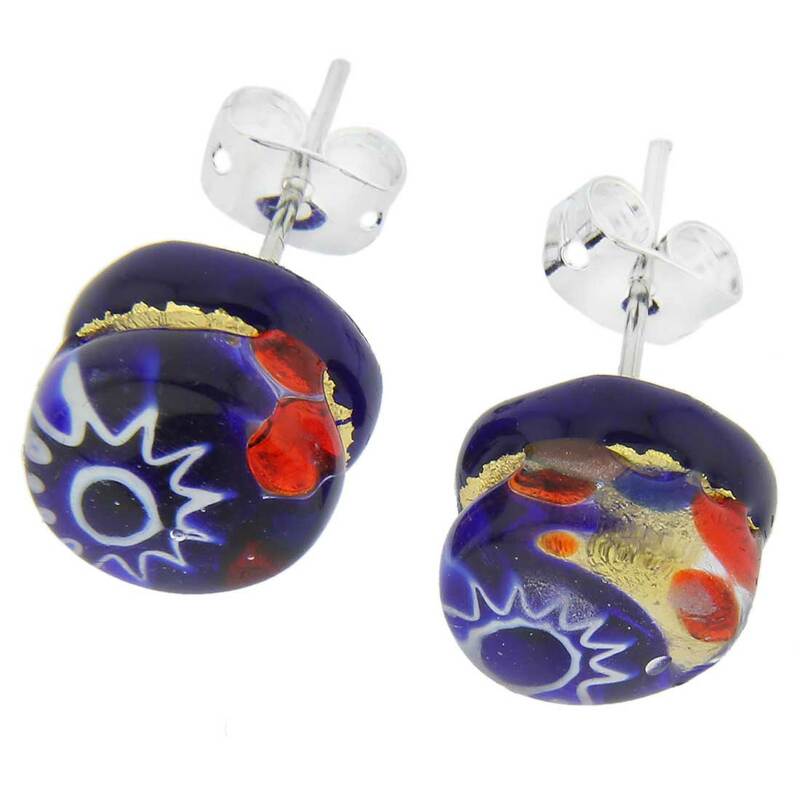 With their artistic talent and skillful hands trained in time-tested glass-making techniques, Venetian masters created this Murano Glass jewelry set that reflects the uniqueness and beauty of Venice. 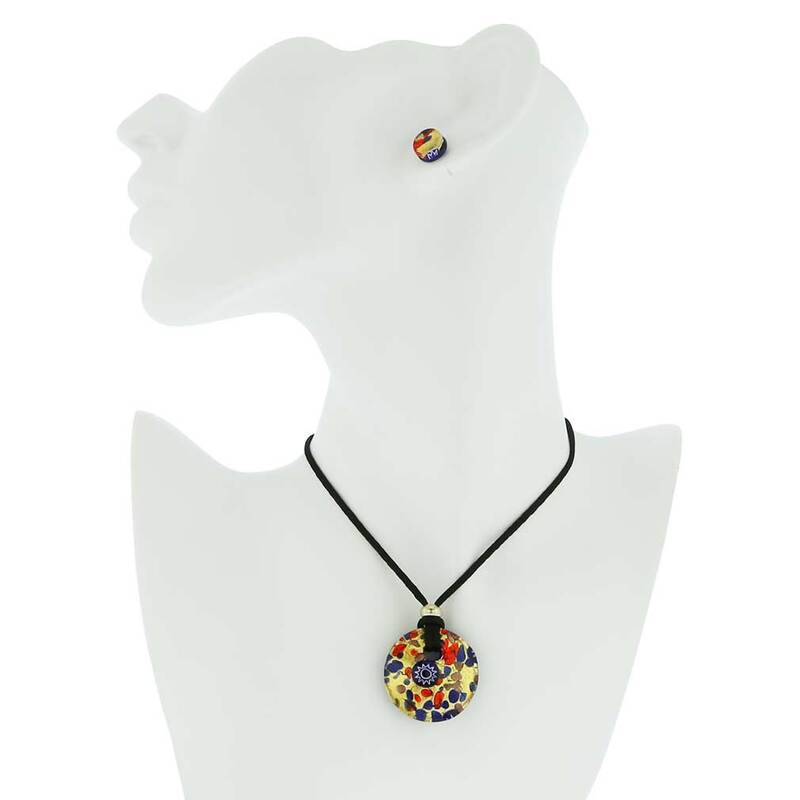 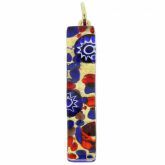 The Murano glass round pendant has a slightly convex shape and measures 1-1/4 inch in diameter. 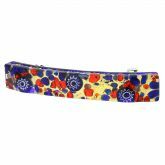 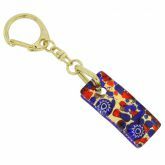 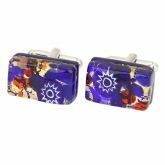 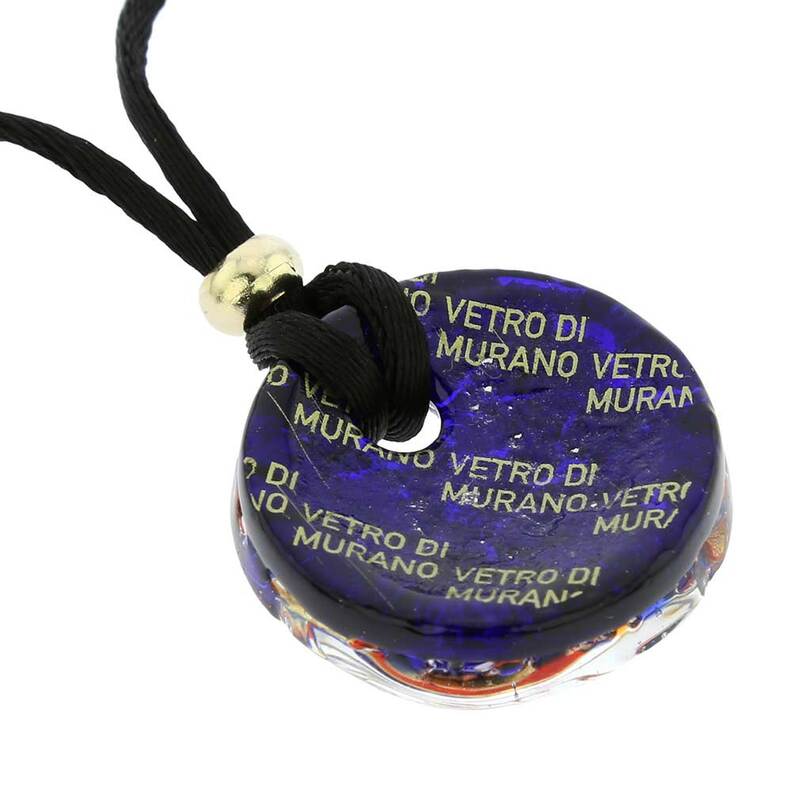 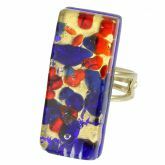 The back side has a pattern of words "Vetro di Murano" (Murano Glass) inscribed on it to help assure you that this is authentic Murano Glass jewelry. 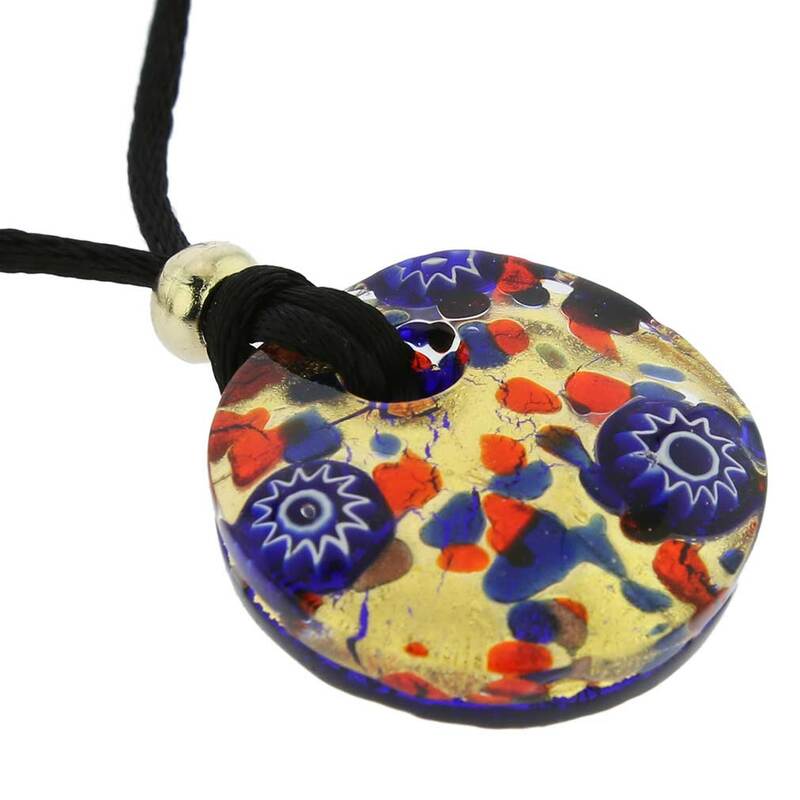 The pendant comes on a silk cord. 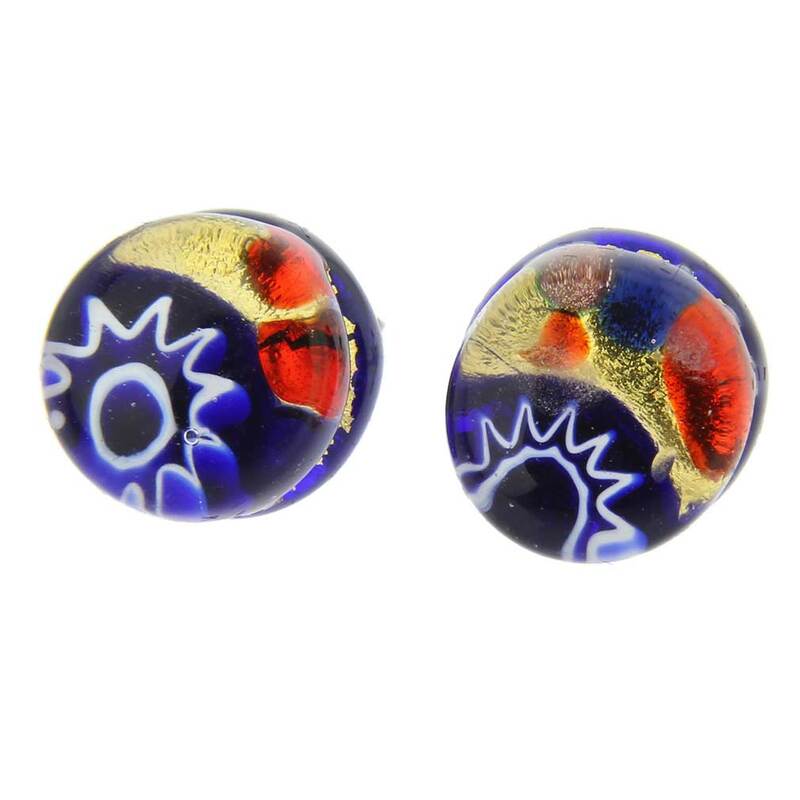 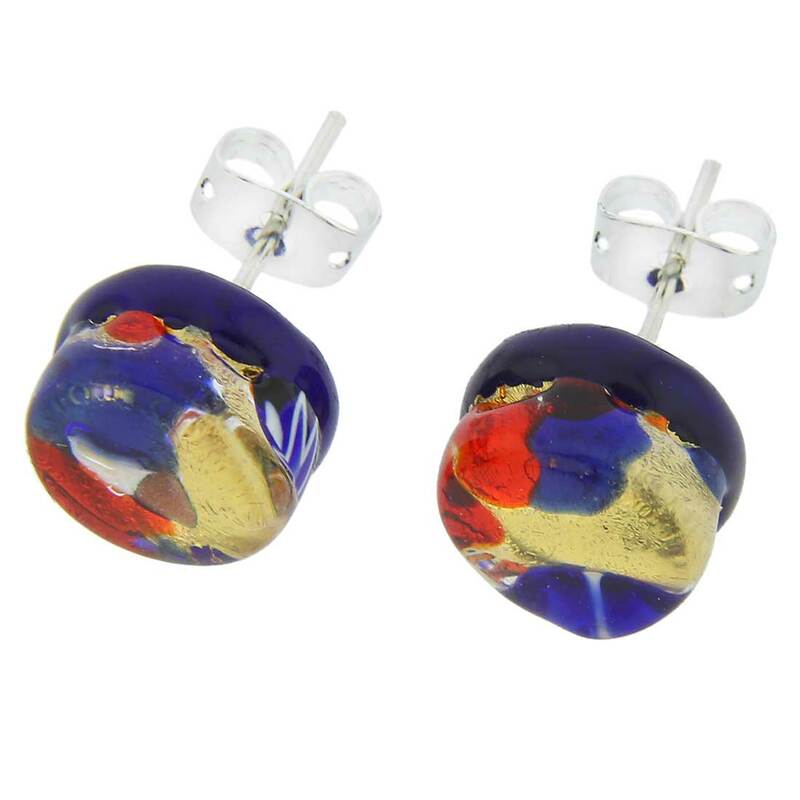 The Murano earrings in this set are round studs that measure 3/8 inch in diameter. 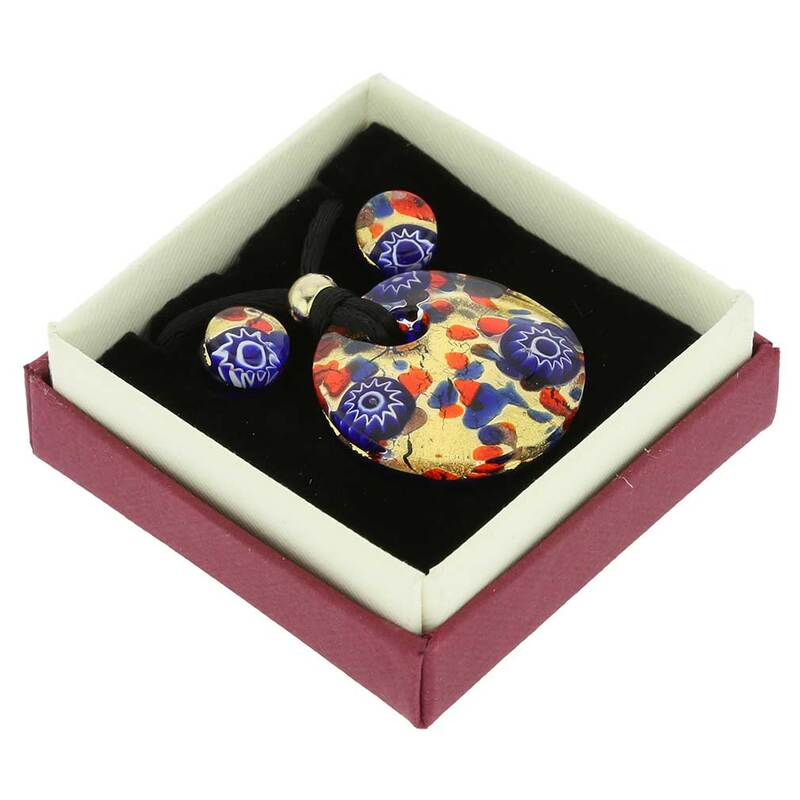 The set comes in a gender-neutral gift box and is accompanied by the certificate of authenticity. 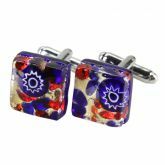 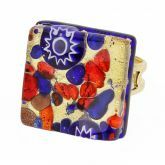 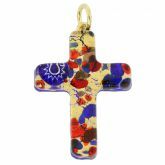 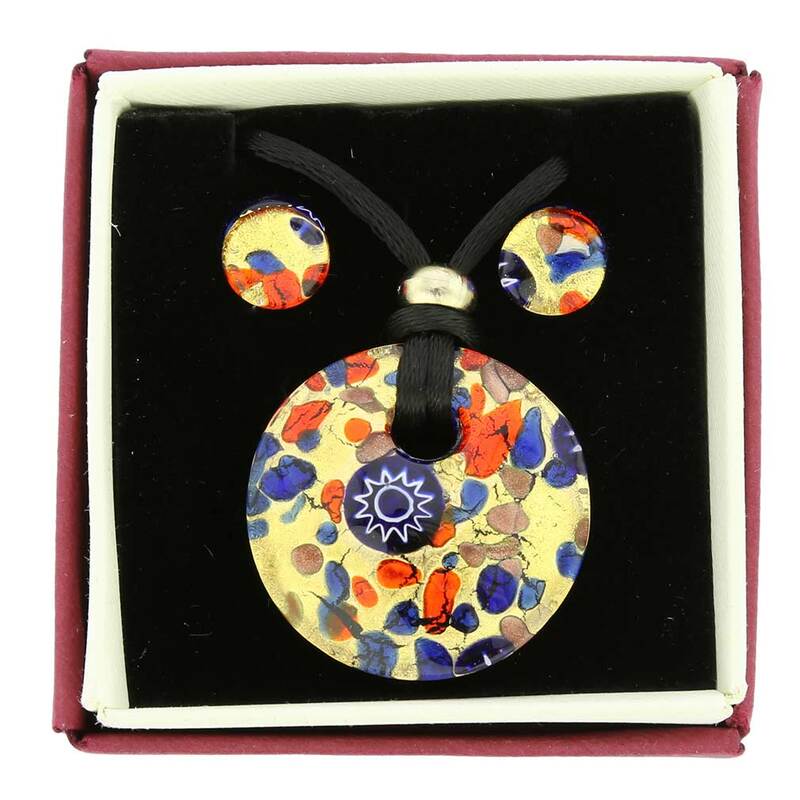 This jewelry set is a unique handcrafted work of art created using special glass making technique, which results in unique random pattern and random millefiori inclusions, such that no two items are the same. 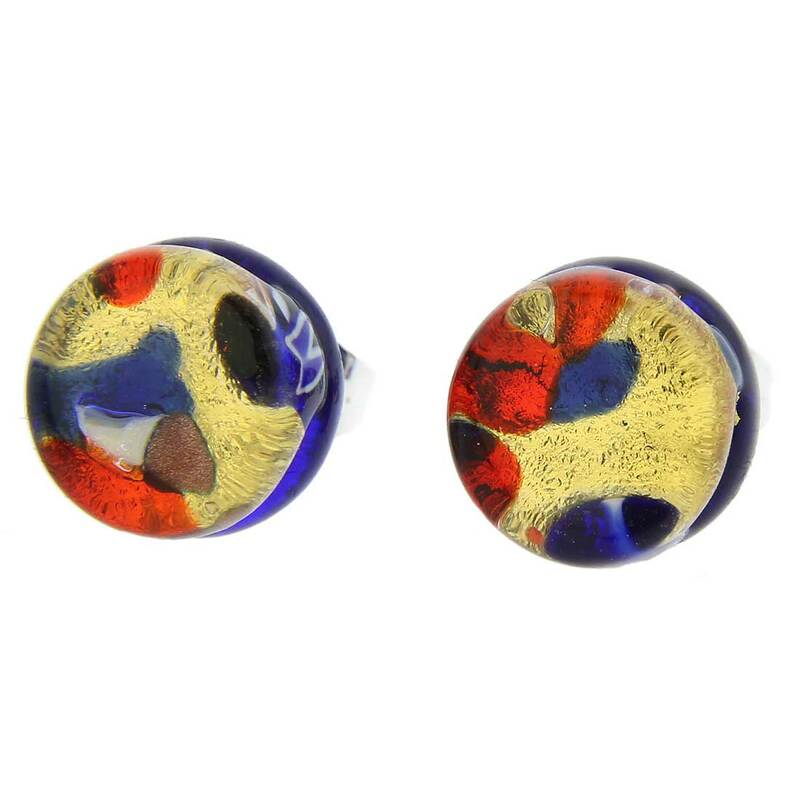 In addition, some variations of colors are possible. 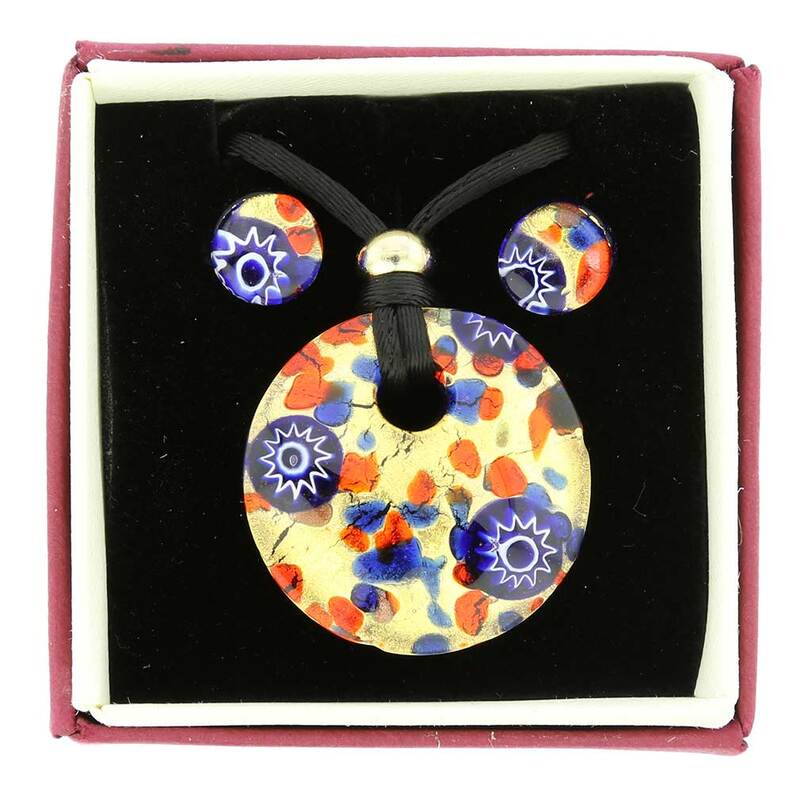 The photo shows an item that is very similar to, but is not exactly the same as the one you will receive.